Wouldn't it be awesome if outsourcing your Prescott business bookkeeping needs meant that your tax return was prepared without an additional charge? Prescott Tax and Paralegal welcomes you to a new model of bookkeeping where you are charged a flat fee each month, and at the end of the year, your tax return is prepared without an additional fee. Are unexpected costs or the dreaded tax season throwing your bookkeeping expenses into confusion? Stop the madness. Flat fee pricing may be your perfect solution. When tax preparation is not included, tax preparation fees typically consist of a set fee for each form and tax schedule required. Your tax preparer may simply charge an hourly rate which can vary greatly depending on the bookkeeper. And if your paperwork appears to be disorganized, you can expect to pay even more. Prescott Tax and Paralegal can set you up with a fixed monthly charge based on your bookkeeping needs considering such factors as the type of entity of your business, the volume and type of transactions, number of accounts and the level of preparation required including all local, county, state and federal tax returns. Having flat fee pricing in place means you will know exactly how much your bookkeeping services will cost each and every month. A flat fee price structure is also a great way to handle prior year's bookkeeping needs that are past due. 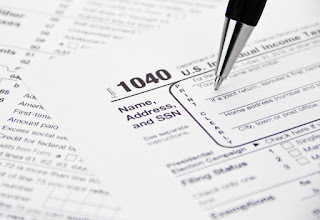 Whether you're an individual or business person operating as a sole proprietor, LLC, or a small business with multiple employees and payroll, let the professionals at Prescott Tax and Paralegal give you a customized, individual flat fee price quote to meet all of the bookkeeping needs for your Prescott business. We specialize in service-oriented small businesses such as realtors, lawyers, and plumbers. Call for an appointment at 928-778-3113.